Set a new trend with this chic top. It features a distinct print all-over for a charming look. 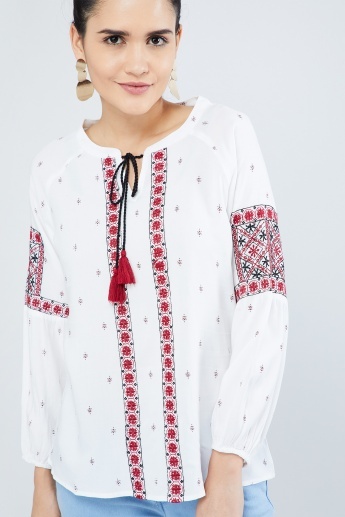 The embroidery and raglan sleeves make it a sophisticated casual wear while the notched round neck with a tie-up and tassels add to the overall look.